Online project management tools have empowered remote collaborations with centralized task management. Driving the revolution has been the visually enticing, cloud-based service Trello. 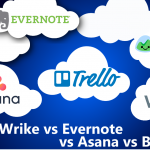 During this roundup, we’ll be examining how five different Trello Alternatives, cloud collaboration solutions that stack up to Trello to help you pick the right tool for your business. Work productivity is migrating to the cloud. Online tools let your team get work done from just about anywhere, improving worker satisfaction and productivity at the same time. Cloud project management tools like Trello are designed to bring project tracking into one centralized portal. From there, you can assign tasks and sub-tasks, plus set deadlines. Collaborators can check off accomplishments, comment on work done and add attachments. 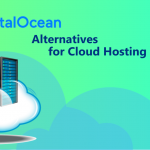 Third-party cloud integrations compliment the service by bringing everything together into one neat work productivity hub. 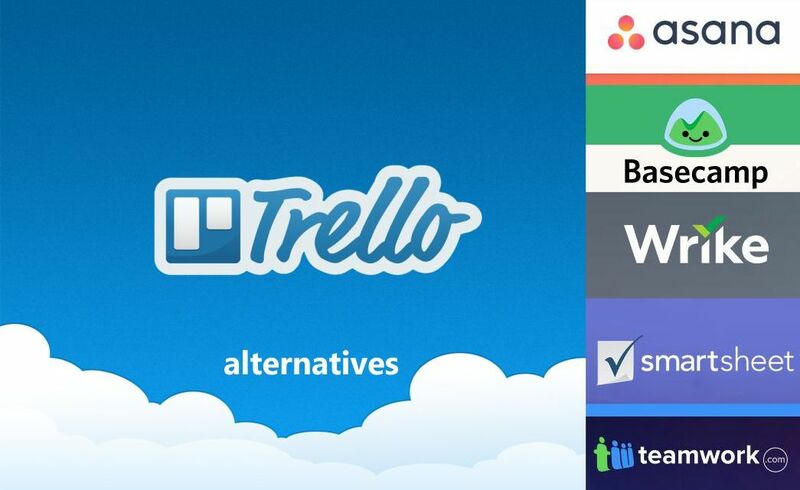 Trello is one of the most popular cloud project management platforms. Users can organize team activities with simple but effective visual tools like color-coded task boards, task lists and file attachments. Trello can also integrate with third-party work productivity apps like Slack and cloud storage services. We’ll be looking at how Trello’s “Business Class” plan stacks up with five different competing services: Asana, Basecamp, Wrike, Smartsheet and Teamwork. Why do we choose Trello "Business Class" plan for price comparison? Trello’s Business Class provides all the perks of Trello’s free vanilla version plus unlimited third-party app integrations, larger file attachments, improved admin controls for security, customization and priority support. That makes the Business Class plan the best Trello option for SMBs, which is why we chose to highlight it and Trello’s competitors’ closest analog plans in this roundup. Cloud-based project manager tool with customizable dashboards and Gantt Charts. 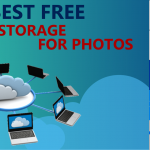 Integrates with third-party cloud storage solutions and other work productivity apps. Create unlimited projects and subtasks with integrated subtask dependencies. Create task lists and upload attachments to streamline project goals. Web-based project management platform with excellent mobile apps. Chat with project team members and create discussions around projects. Cloud-based project manager tool with customizable dashboards and Gantt Charts views. Features three different views: cards, Gantt Charts and calendar. 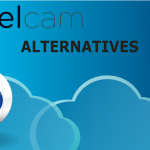 Cloud-based browser and mobile access streamlines project communications. 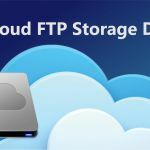 Third-party integrations expand storage and tie work productivity elements together. Cloud-based project management with dashboard, Gantt Charts and calendar views. Define project roles, priorities and cross-project dependencies. Excellent app integrations help boost work productivity and drive project cohesion. Asana helps streamline work tasks like Trello. 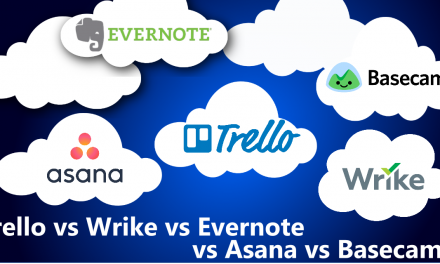 The big difference between the tools is that Asana relies more on list-based task management, while Trello uses colorful cards and task board. Asana is a very simple too uses and does a nice job of centralizing task communication so you don’t have to juggle meetings, play phone tag or sift through crowded email inboxes. Asana tasks are organized into three categories: today, upcoming and later. The simplicity of this structure underscores the basic approach of Asana. Tasks themselves can be grouped into various sections like “status report” and “bug tracking” to facilitate assignment. You can also use existing Asana templates or create new ones so you don’t have to start from scratch each time you launch a new project. Asana doesn’t make it quite as easy to visualize all of your tasks from different projects as Trello does. That’s because at any one time you can only view your tasks for a given workspace. The feature-packed display also makes it a bit harder to take in information than Trello’s more “board” style. That said, it’s easy to use. The browser-based UI offers excellent keyboard shortcuts to manage lists quickly. Secure social-media-like commenting lets you centralize project conversations and turn comments into tasks. Excellent Android and iOS apps let you view and update tasks on the go, too. Like Trello, Asana also features a broad number of third-party application integrations. 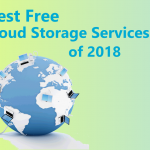 Some of our favorites include Slack, Google Drive, Dropbox and Zapier. An API even lets you develop and integrate your own apps with Asana. Launched in 2004, Basecap is one of the older online project tools on the market. As with similar tools, the goal is to centralize project communications in one convenient, secure portal. That way you don’t have to keep track of exponentially branching email chains and organize often counterproductive status update meetings. Basecamp doesn’t have nearly the same visual appeal as Trello’s vibrant board setup. Also, it doesn’t support very many third-party app integrations. Regardless, Basecamp achieves its goal of facilitating real-time communications nicely. Project management comes via task-lists with integrated deadline tracking and group discussions, more in line with the Asana model. Admin controls help you manage permissions and keep your work product safe. The Basecamp dashboard, available via browser for both PC and Mac, centralizes to-do lists, board discussions, chat and attachments into an at-glance interface. Mobile apps for Android, iOS and Windows Phones are available, too. Within each task list in Basecamp, you can set-up task categories and create lists. That helps compartmentalize assignments and make sure they get handled by the right person. Unlike Trello, Basecamp features flat, per-month pricing. The basic business plan is $99 per month (unlimited users), compared to $9.99 per user per month. That makes it a more affordable option if you work with larger teams. There’s also no limit to how many projects you can run with Basecamp. Wrike Professional provides project managers with an online tool to drive collaborations. Task and subtask management comes courtesy of customizable dashboards and Gantt Charts, which provides a spreadsheet-like overview. 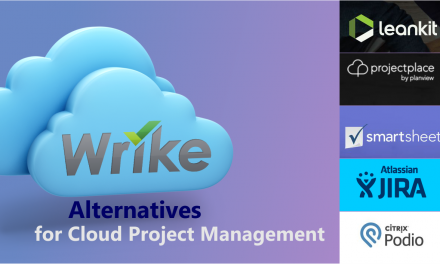 Wrike also integrates with popular cloud-storage platforms like Google Drive, Dropbox, Box and OneDrive. This allows you to supersede the 5GB of storage that Wrike comes with. Wrike’s “Professional” plan is a marginally cheaper than Asana at $9.80 per user per month, though you have to sign up five, ten or fifteen users. However, you can bring an unlimited number of “collaborators” into your project — the difference being that collaborators have fewer permissions than users. There’s also no limit to how many projects you can create with Wrike Professional, or how many subtask levels you can create. Each task and subtask can be commented on or have files attached. You can also setup dependences between task. Wrike access is available via browser on both PC and Mac. Mobile apps for both Android and iOS are there, tool. Other aspects we love with Wrike include integrations with Slack, Evernote, Zapier and other productivity tools. An API will let you develop your own integrations. Smartsheet provides dynamic project management collaborations with three different view modes. It’s card view mode is quite similar to Trello in that it provides a concise visual view of ongoing projects and project tasks. Smartsheet also lets you view projects using Gantt Charts, which provides a spreadsheet overview, and a calendar mode. The primary task management mechanism for Smartsheet are “sheets.” Sheets store information and file attachments, and can be used to manage projects, processes, task lists, contacts and pretty much anything else you want to track. Smartsheet Team, which is the closest cost analogy to Trello Business, lets each user create up to 50 sheets. While the total number of users are limited based on your subscription preferences, you can invite unlimited collaborators to view and comment on any given sheet. They simply don’t have the same level of permissions as users, like creating and editing sheets. Smartsheet Teams cost $15 per user per month and gets billed annually. This makes it a more expensive option than Trello. Browser-based access is available for PC and Mac, with mobile apps available for iOS and Android. 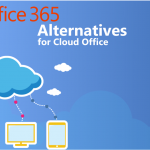 Application integrations include cloud platforms like Dropbox, Google Drive, Box and OneDrive. 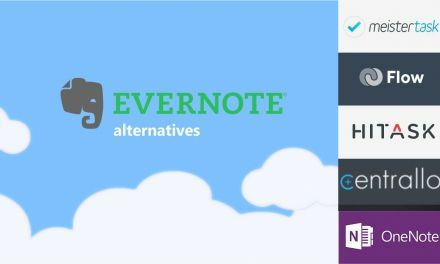 Other third-party integrations that caught our eye include Salesforce, Evernote and Zapier. 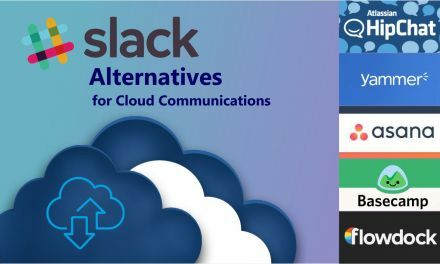 There is no Slack integration at this time, though, like you get with Trello and some of the other available tools. Teamwork Projects provides flexible online project management tracking for both PC and Mac users. Mobile apps for Android and iOS are offered as well. You can keep tabs on projects with an overview dashboard. This is also a good place to post general project announcements. Project categories and subtasks help you sort work, and for each project you can assign roles and invite observers. Both Gantt Chart and calendar views are available. We like that Teamwork lets you create cross-project dependencies, group tasks and set priorities. Project templates and recurring ask options help make Teamwork easy to set up. Messaging capabilities, notifications and posting features help create social collaboration environment. Together with file attachment capabilities, Teamwork does just as good a job as Trello as centralizing project intelligence. The Teamwork Projects plan that most compares in cost with Trello is its “Small Office” subscription. For a flat $44.92 per month, you can invite unlimited users and manage up to 40 projects. 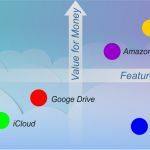 Space with this plan is limited to 20GB per month, but cloud storage app integrations for Google Drive, Dropbox, Box and OneDrive, that should be no issue. Other app integrations can be facilitated through Zapier. These integrations include Slack, Salesforce and even other project management tools, including Trello and Basecamp. 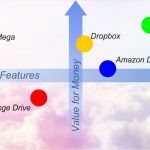 While nobody can doubt Trello’s place at the top of the cloud project management market, whether or not it’s the best tool for you will depend largely on your personal project management style and organizational needs. 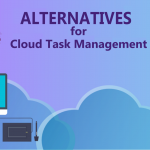 The alternatives outlined in this roundup should give you a strong idea of what else is out there, helping you to select the tool most suited to enhancing your team’s collaborative capabilities.